Awards: Purple Heart, Combat Infantryman's Badge, Korean Service Medal, United Nations Service Medal, National Defense Service Medal. 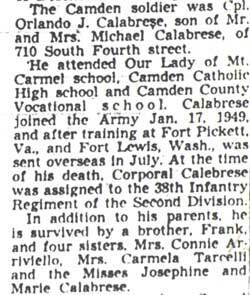 CORPORAL ORLANDO J. CALABRESE was born in Camden NJ in 1929 to Mr. and Mrs. Michael Calabrese. The Calabrese family lived at 710 South 4th Street, and were members of Our Lady of Mount Carmel Church. 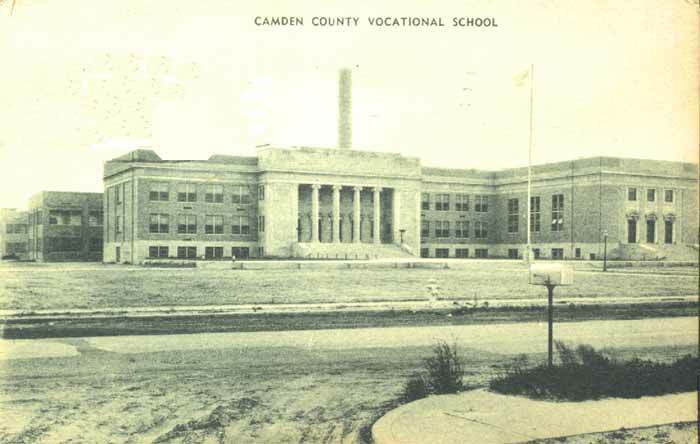 He attended the Our Lady of Mount Carmel School, Camden Catholic High School, Camden County Vocational School, and he is wearing a Woodrow Wilson High School sweater in the picture. Orlando Calabrese joined the Army on January 17, 1949. After training at Fort Pickett VA and Fort Lewis WA, he was sent overseas, where he was assigned to Company I, 38th infantry Regiment, 2nd Infantry Division. He was killed in action while defending the Pusan perimeter in Korea on September 8, 1950. Corporal Calabrese was awarded the Purple Heart, the Combat Infantryman's Badge, the Korean Service Medal, the United Nations Service Medal and the National Defense Service Medal. 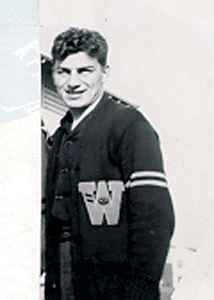 He was survived by his parents, brother Frank, and four sisters, Mrs. Connie Arriviello, Mrs. Carmela Tarcelli, and Misses Josephine and Marie Calabrese. 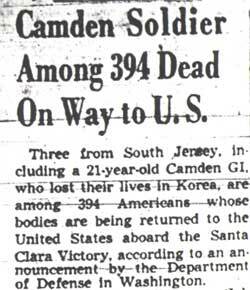 His body was returned to New Jersey in July of 1951, and he was buried locally.